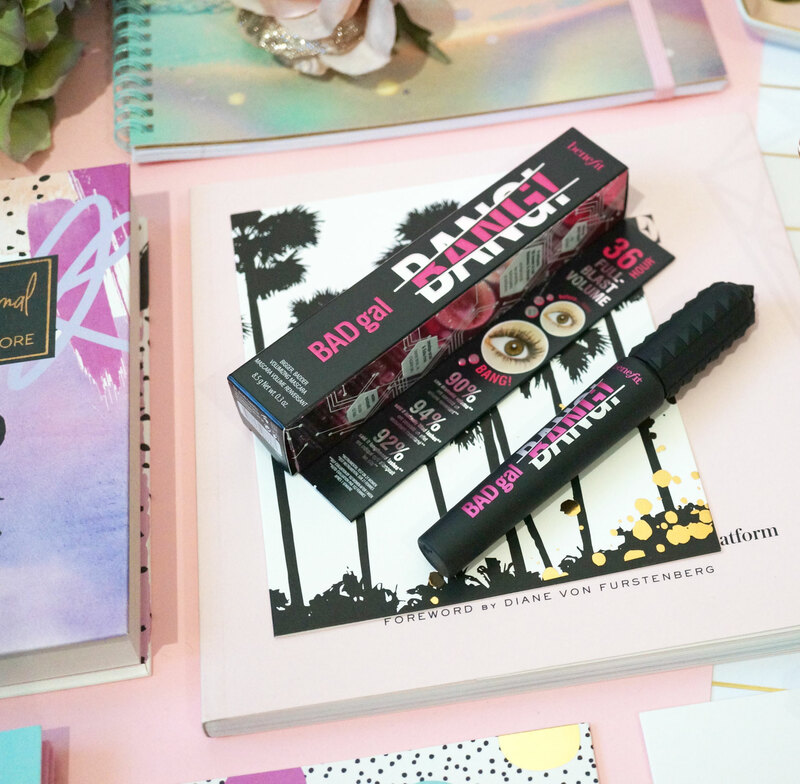 I have the brand new Benefit BADGal Bang Mascara to share with you today! The latest mascara launch from Benefit promises a massive 36 hours of volume, without weighing down the lashes – the whole idea here is that you can get a super voluminous look, without feeling like you have a heavy product on your lashes, which can feel quite uncomfortable as the day goes on. The new BADGal Bang formula promises to be smudge-proof, water-resistant, and volumising. It contains aero-particles, which are one of the lightest known materials derived from space technology, as well as ProVitamin B5 to aid thickness & strength. It also comes with a custom Slimpact! brush – streamlined to reach root-to-tip, corner-to-corner, upper & lower lashes for big volume with 360 degree reach. Ok so the Slimpact! wand head is quite long and has teeny tiny spikes, rather than traditional bristles. They’re flexible and easily grab even the tiniest of lashes. When I first saw the brush, I thought I really wouldn’t like it, as I’ve used mascaras before with similar looking brushes that have been so spiky and sharp they actually hurt my eyes! These bristles though are soft and flexible, so this wasn’t a problem. I have to say I actually love the style of the brush. I have very short, straight lashes and larger brushes with longer bristles can be a nightmare to use precisely. I loved how the Slimpact! brush is long in length, but not chunky, and you can easily get right to the edges of the eyes and coat those tiny fine hairs that larger brushes seem to miss. I know what you want to know – but is it clumpy? Well the answer is, yes it can be, but not necessarily. It really depends on how you apply your mascara, how thickly you put it on and how many coats. I found it quite easy to apply this in a way that gave fantastic volume, without any clumpiness. The formula does seem to want to stick the lashes together, so you just need to take a moment to go over the lashes a couple of times to makeup sure they’re separated. 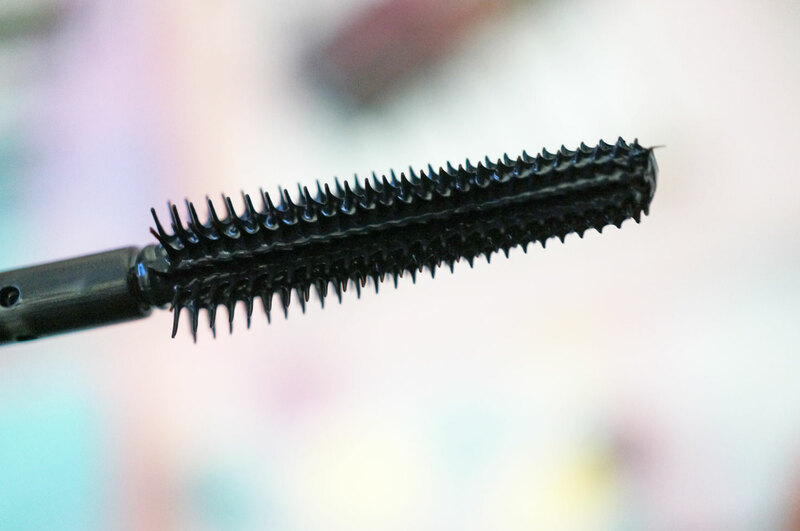 I didn’t find this mascara to help with curl at all – so you’ll definitely want to curl your lashes before hand, and it was slightly lengthening but not noticeably so. Overall I actually really like this mascara, it definitely feels lightweight as advertised, and it gives a really dramatic look. You just need to take a bit more time with application to separate the lashes. This is a must have if you’re specifically looking for volume! 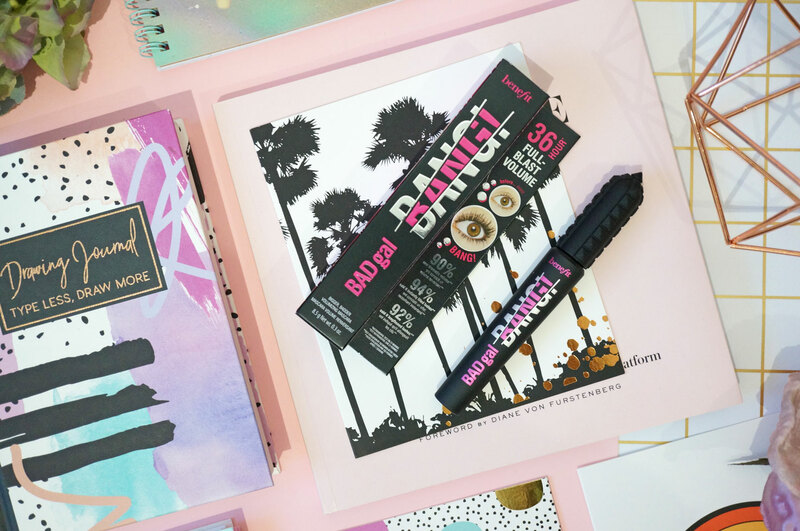 Benefit BADGal Bang Mascara is £21.50 and available now at Debenhams. 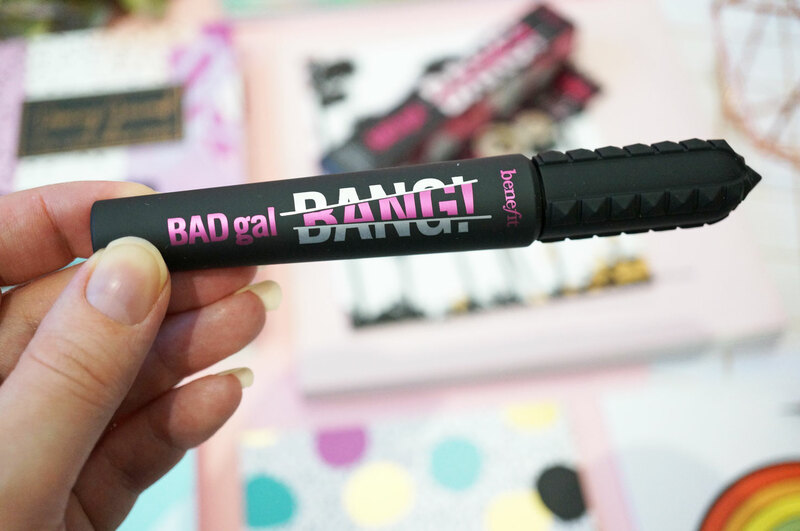 Debenhams are also currently offering a free gift plus £5 worth of points when you purchase the BADgal Bang Mascara.